My final year project quantified the hydraulic conditions that sticklebacks experienced during swimming performance trials (collaboration with Fran Hockley). This allowed us to understand the spatial positioning of fish within the water column. During my CUROP, I further analysed this data for publication. 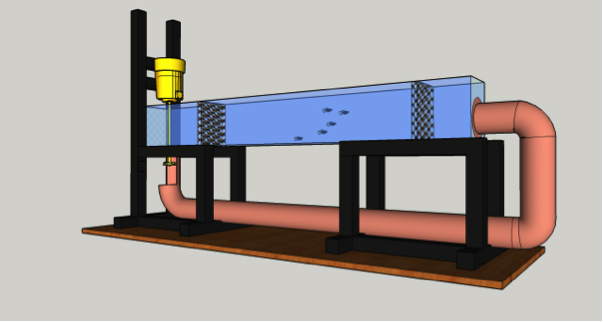 I utilised my engineering skills to develop a recirculating flume system in BIOSI to simulate flow conditions for fish and I designed 3D models of this system. 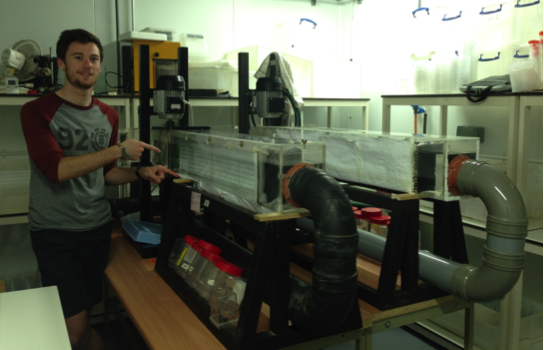 These flumes were then used to assess the transmission of the ectoparasites Gyrodactylus turnbulli between shoaling guppies (Poecillia reticulata) at different flow rates. This provided me with an insight into ecology, fish biology and parasitology. The CUROP has provided me with the opportunity to network across disciplines (Engineering and Bioscience) and develop working relationships and friendships with people at different stages through their scientific research career.